Jeff Stout is the owner of Stout & Son Funeral Homes in Russiaville and Burlington and President and co-owner of Shirley & Stout Funeral Homes & Crematory in Kokomo, and Hasler-Stout Funeral Home in Greentown. He graduated from the Indiana College of Mortuary Science and is a licensed funeral director. Tami is a 1987 graduate of Eastern High School. She works as the bookkeeper at Stout & Son in Russiaville. Jeff and Tami live in Russiaville and are the parents of seven children and three grandchildren. 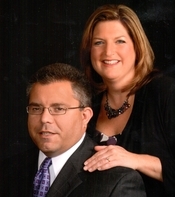 Matt & Debbie Grecu are stockholders in the Shirley & Stout Funeral Homes & Crematory in Kokomo. Matt, a licensed funeral director, has been involved with funeral service for over 20 years having graduated from Mid-America College of Funeral Service. He and Debbie were raised in Kokomo and are Taylor High School graduates. Debbie teaches 4th grade at Redeemer Lutheran School. They are the parents of one son and twin daughters. 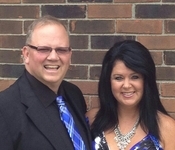 Bill and Lyn Shirley are co-owners of Shirley & Stout Funeral Homes & Crematory in Kokomo. Bill Shirley attended Ball State University and Indiana College of Mortuary Science, graduating in 1961. As a licensed funeral director, he came to Kokomo and went to work at the Fenn Funeral Home. After the retirement of John Fenn, he purchased interest in the firm and in 2005, became a partner with Jeff Stout. 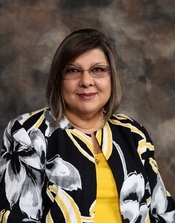 Lyn is a retired Kokomo teacher, having spent 30 years in the classroom. After retiring from teaching, she worked in the funeral home as a hostess, preneed counselor and bookkeeper. In recent years, they have enjoyed semi-retirement and spending the winter months in Florida. The Shirleys have three grown sons and eight grandchildren. Bob Hasler, a funeral director, came to Greentown from Muncie and went to work for Gene Pickett in the Pickett Funeral Home, having graduated from Indiana College of Mortuary Science. When Gene retired in 1981, Bob purchased the business and later became a partner with Jeff Stout, and the business is now known as Hasler-Stout Funeral Home, with Bill Shirley as a stockholder. The Haslers are also stockholders of Shirley & Stout. Nancy is very involved with the business but both she and Bob also enjoy time spent in Ft. Myers, Fl during the Indiana winters. 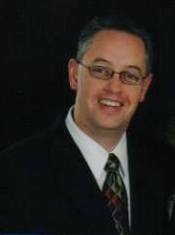 Rob is a licensed funeral director, serving in the Kokomo area for over 20 years. He was born and raised in the Kokomo area and is a graduate of Kokomo High School and Mid-America College of Funeral Service. He is a member of the Greentown Lions Club and Pi Sigma Etta National Morticians Fraternity. Rob lives in Greentown with his wife, Terri, who is a registered nurse with St. Vincent Hospital, Kokomo. 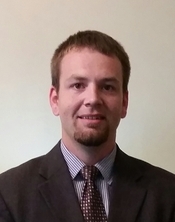 Jeremy Geiger is a licensed funeral director having worked in funeral service since 1999. He was raised in Peru and is a graduate of Peru High School. Jeremy graduated from the Cincinnati College of Mortuary Science. He and his wife Ashleigh live in Russiaville and have one daughter. Jeremy enjoys disc golf and is an active member of the Professional Disc Golf Association as well as local clubs.